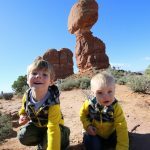 Kodachrome Basin was the 3rd stop on our hiking trip through Utah’s best parks with kids. 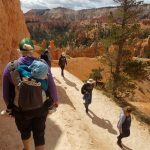 We had one more day scheduled for Bryce Canyon, but didn’t see many worthwhile hikes that would make sense with our two boys, especially after the Queen’s Garden Loop we had just finished. 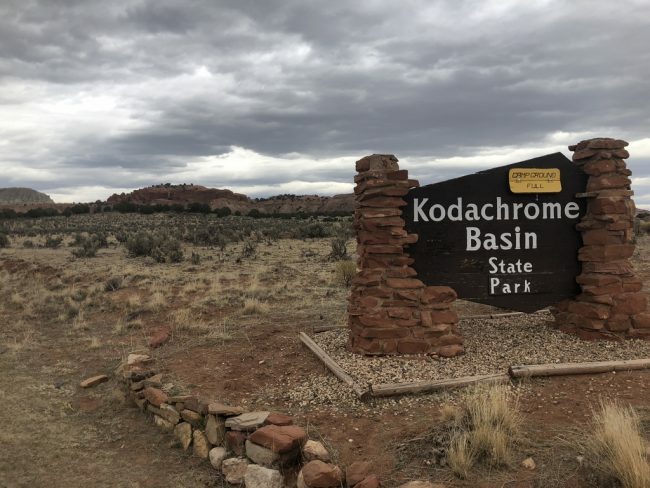 So instead we drove a short way to Kodachrome Basin, a nearby state park. After the hustle and bustle of Zion and Bryce, Kodachrome Basin was downright sleepy. We only saw two other groups during our visit to the park. 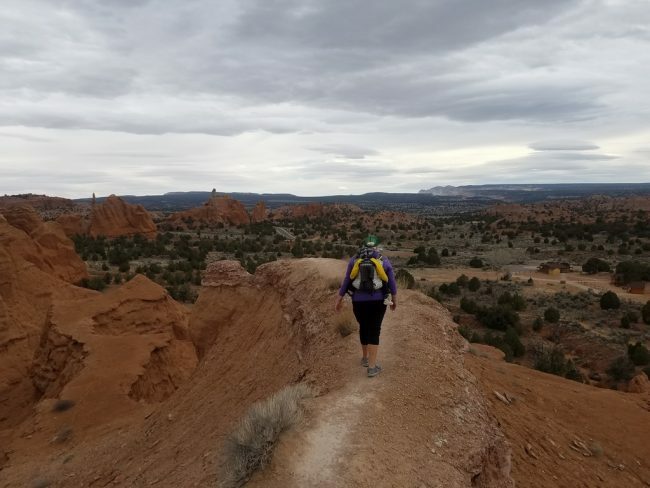 As you can see from our photos, the sky was much less cheery the next day and the colors of the park were muted compared to those of Bryce Canyon. Still, there were some extremely interesting geological features in this park that we didn’t find anywhere else on our trip. 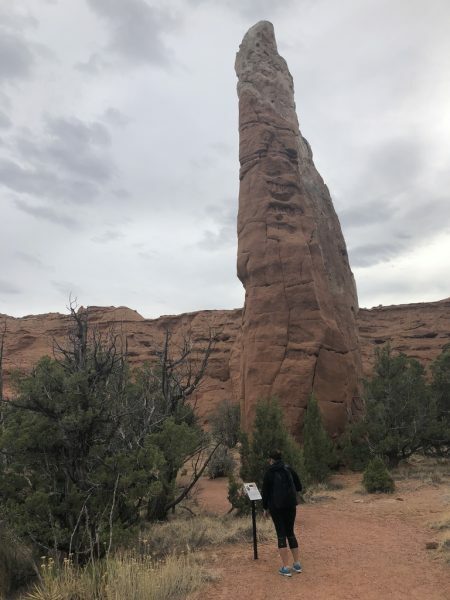 The Angel’s Palace Trail was a short 1.5 mile hike that showcased some weird, sandy rock formations that looked like droopy clay. Much of the trail curved around and over these rocks. Towards the end of the trail, several overlooks jutted out from the trail that seemed to exist only for ill-advised photo opportunities. We ventured carefully on some of the safer-looking ones, but there were many worn paths that extended to the edge of loose and crumbly sand. I would certainly recommend caution here, as the overlooks are inviting but unstable. 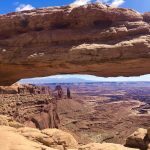 An unprotected overlook – watch your step! 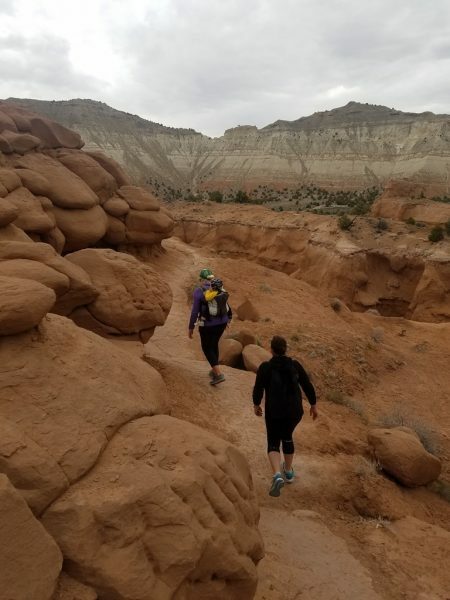 At the end of the trail you wrap around a box canyon with a sedimentary pipe rising in the middle of it. It is a strange rock formation and worth seeing. The trail more or less peters out rather than ends cleanly, so once you’ve reached the pipe you’ll know you’re at the end of the road. After Angel’s Palace we decided to check out the Kodachrome Nature Trail, which was accessible from the same parking area. 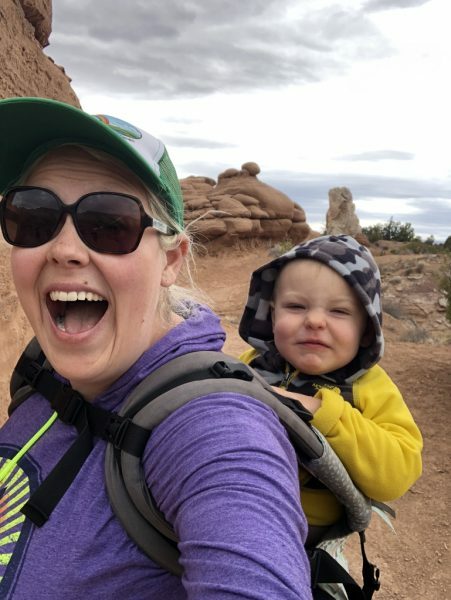 The nature trail is a flat 0.5 mile loop filled with informative panels that explain the fauna and rock formations found in the park. 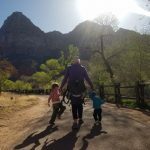 Our boys wanted to run, so the trail served as an easy way for them to burn off a little more energy before loading into the car. 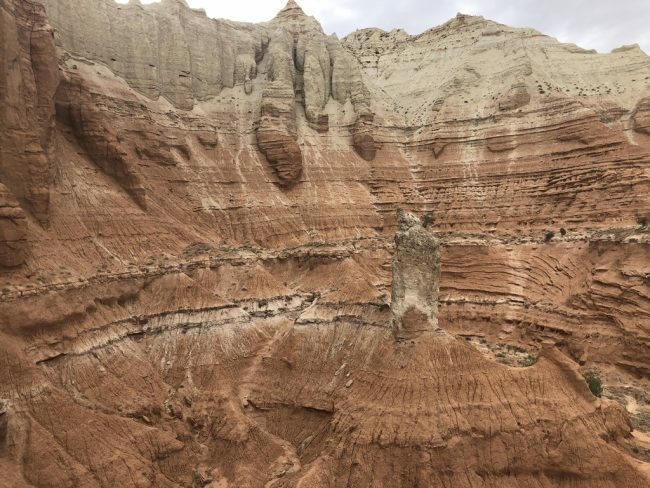 In the middle of the loop (and visible from afar during most of the hike) is a sedimentary pipe, one of 67 pipes found in the Kodachrome Basin. It was worth the 15 minutes walk just to see this strange stone pillar jutting up from the ground before us. 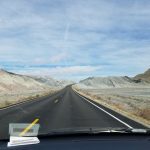 The next morning we would continue our hiking tour of Utah by driving down the scenic Route 12 byway to Arches National Park.